Required UK power supply (not included) or 9v battery (supplied). Using a high quality bucket brigade chip and the same classic Small Clone circuit, this true analog design has been tweaked for accuracy and superior sonic qualities. 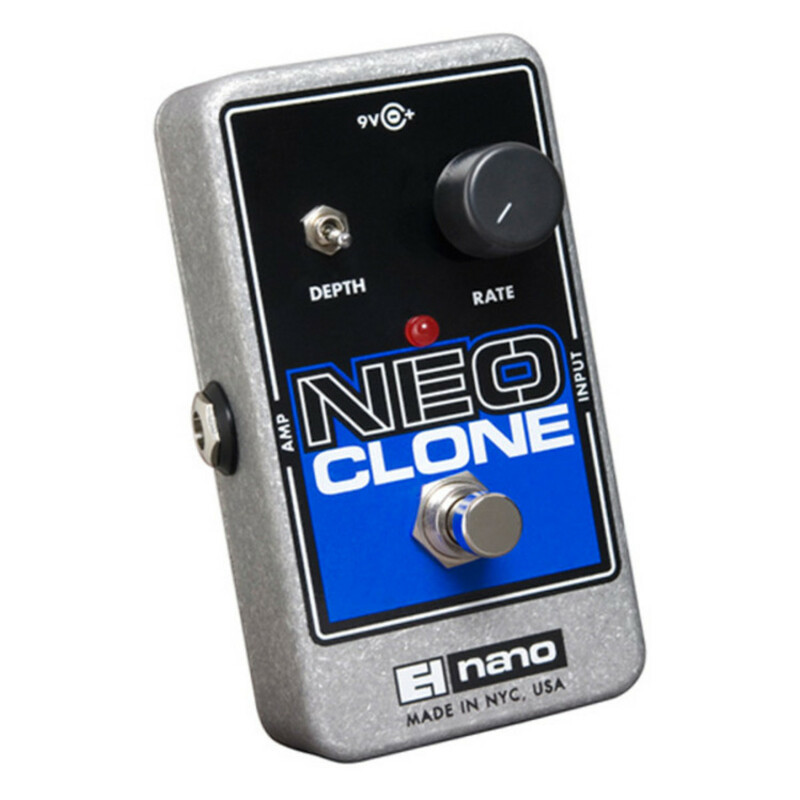 To produce the Chorus effect, the Neo Clone bends the frequency slightly from the input source and mixes this altered signal with some direct unaffected signal. The combination produces a doubling effect and produces a sultry sonic tecture with depth control. As used by Nicole Fiorentino of the Smashing Pumpkins on ‘Oceania’. The sound was created by holding down the low end with the help of the Electro Harmonix Neo Clone chorus. Combining an authentic sound, and at great value, the Electro Harmonix Neo Clone Analog Chorus Pedal has received Guitar World’s Gold Award. For further information about the Electro Harmonix Neo Clone, please download the instructional PDF file from the link below.